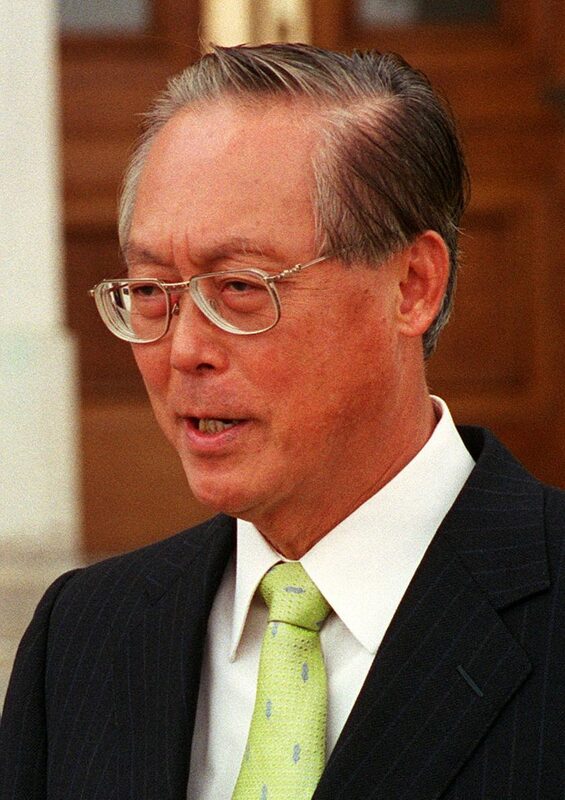 Goh Chok Tong is a politician and former Prime Minister of Singapore. A member of the People’s Action Party (PAP), he became Singapore’s second Prime Minister on 28 November 1990, succeeding Lee Kuan Yew, and served in the role until 12 August 2004. After his tenure in the premiership, Goh then served as Senior Minister until May 2011, and since as Chairman of the Monetary Authority Of Singapore. He continues to serve as a Member of Parliament representing the Marine Parade Group Representation Constituency, and holds the honorary title of Emeritus Senior Minister. A prolific author, Goh has published numerous books on governance and other topics. His bibliography includes “The Gordian Knot: Is There an Upper Limit to Our Prosperity?” (1985) “Partners in Progress” (1986) “A Nation of Excellence” (1987) “A More Effective Role for Parliamentarians”(1987) “Cultural Rapprochement Between Asia and Europe: Five Essays on the Asia-Europe Relationship” (1997) and “Southbound: The Singapore Antarctica Expedition (2001) Winning Against Terrorism” (2004).